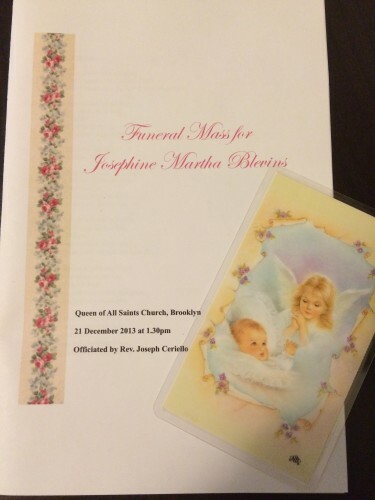 We held Josephine’s funeral at Queen of All Saints on December 21. Father Joe did so well in what was no doubt a difficult Mass to conduct. He knew about Joey before many people did! Barbara, who is our favourite cantor and has the voice of an angel sung for us. Faye, one the first people I became friends with at Queen of All Saints was our Lector. Joey’s casket was from the Trappist Monks in Iowa. They are lovingly handmade and prayed over by the most amazing groups of Monks who are dedicated to their work. It was absolutely beautiful and like nothing I had ever seen. It was buy chance we had organized her casket before she was born so it was wonderful that it was all ready for her. 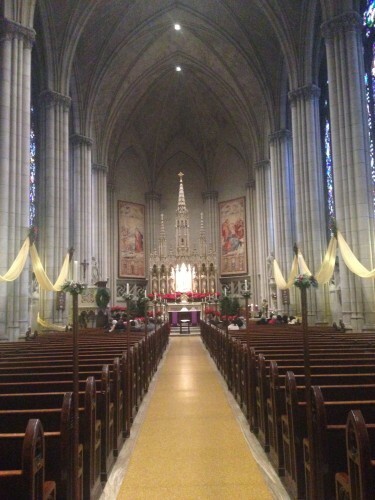 For me, the Mass seemed to go quickly. I love Mass and on this day, I didn’t want it to end. Father Joe’s homily reflected the beauty of having faith and we only wish we recorded it as we would’ve loved to listen to it again when we weren’t so emotional. 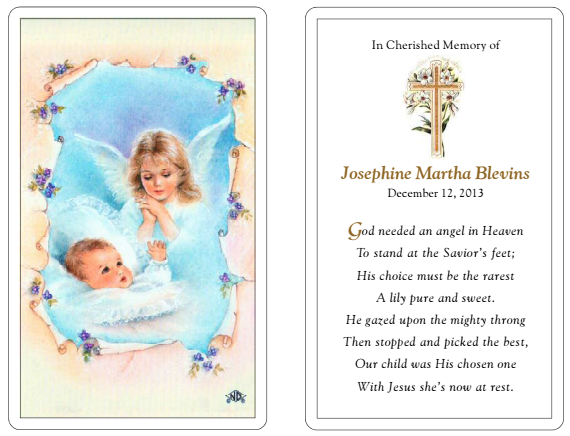 One thing that we have always remembered was when it got to the part of the Mass where you would normally pray for the soul of the deceased and Father made note that as Josephine was actually a saint, instead we would ask her to pray for us. Our little St. Josephine. It was everything we wanted for her. We also made a mass booklet with all of the readings and hymns in it.